People have been using Your Questions to ask us what they want to know about the West Midlands. You wanted to know how to track down a family in Stoke-on-Trent? We were also asked what good or charitable things were happening in Shropshire? And you were curious about how faggots became a Black Country delicacy? Here is a look at how we got on answering your questions. 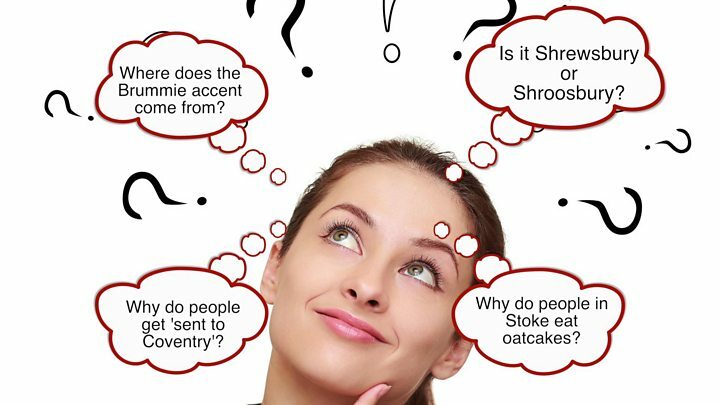 "How do I locate a family in Stoke-on-Trent?" Outside of the phone directory for current names, the other way would be via the local archive services. In Stoke-on-Trent they suggest using online services such as The Staffordshire Collection on Findmypast which contains parish registers, marriage bonds and more. The Staffordshire archive service also suggest, apart from their online services, planning a visit to the record office to track down more details. What good or charitable things are happening in Shropshire? We went to the Charity Commission, to ask how many charities it has registered in the county and found they have 1,655 registered in the Shropshire local authority area and another 368 in the Telford area. That list contains a number of charities which aren't based in Shropshire, but still operate in the county and some are more active than others - but there are a wide range of causes listed there. "Why are faggots considered a Black Country delicacy?" Faggots were developed as a way of using up all the bits of pig that would otherwise be discarded and have been on sale in the Black Country for more than a century. The meat balls made of minced offal are traditionally served with mashed potato, peas and gravy. Here is a BBC Good Food recipe you can try. Eve Billingham founded The Cook Shop in Old Hill, near Halesowen in 1889. She started out by used the front room of her home in Old Hill High Street, now Highgate Street, as a shop selling Black Country food, such as faggots she cooked herself. Her recipe for Black Country favourites including faggots have been handed down for generations up until recently, the shop was still being run by her great-grandson.